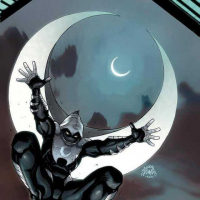 "The Prowler is a master thief, known for taking out big names in the darker alleys of New York City. With gadgets pilfered from years on the job, Aaron Davis pulls off high-profile heists, making enemies wherever he goes. With years of double-crossing catching up to him, how long can this criminal get away with murder?" 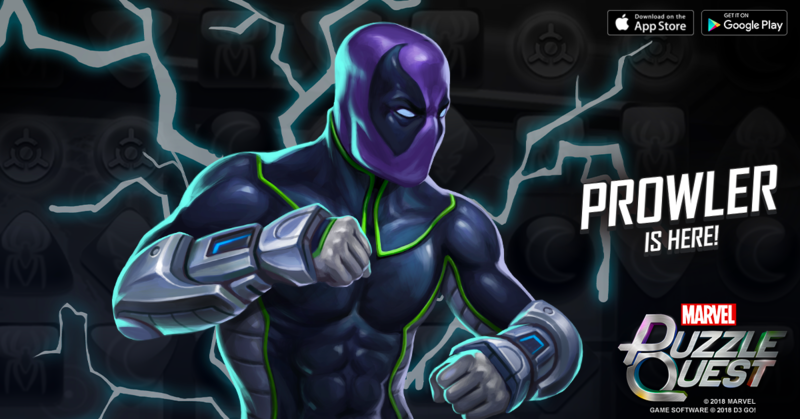 Check out the brand new 4-Star Prowler, and find out how you can recruit him onto your roster! When Prowler sees something he wants, there's not much you can do to keep it from him. At the start of each turn, fortify 2 enemy Strike, Attack, or Protect tiles. Whenever your team matches a Fortified enemy Strike, Attack, or Protect tile, Prowler steals that tile. Level 2: ...steals that tile and improves it by 18. Level 3: ...and improves it by 59. Level 4: ...and improves it by 161. Level 5: ...and improves it by 364. The Tinkerer's electrified gadgets pack a punch, but only if Prowler can figure out how to use them. Deals 704 damage and stuns the targeted enemy for 1 turn. If your team has more total Strike, Attack, or Protect tiles than the enemy team does, also deals 505 damage to all other enemies. Level 2: ...stuns the targeted enemy for 2 turns. Level 3: Deals 1204 damage...does, also deals 864 damage to all other enemies. Level 4: Deals 2266 damage...does, also deals 1626 damage to all other enemies. Level 5: Deals 3797 damage...enemy for 3 turns...does, also deals 1626 damage to all other enemies. When things get dicey, Prowler steals away, leaving his allies to clean up the mess. Creates 2 strength 126 friendly Strike tiles and 2 strength 126 enemy Strike tiles, then turns Prowler Invisible for 1 turns. Level 4: ...Invisible for 2 turns. Level 5: Creates 3 strength...Invisible for 3 turns. Hey, Looks like Voldemort is really here now. Looks interesting. Nice to see the best build poll back. A placement reward for an alliance even? Sure you don't mean progression? That purple power looks quite evil... I assume it means that when I match the fortified tile, the enemy Prowler steals it for his team. Do I still get the various benefits of the match? I think the enemy prowler needs to match it since it says "whenever YOU match a..." rather than "whenever a tile is matched..."
They should have had Carnage featured in training. That would have really shown Prowler's passive off. Can't wait to play him with Carnage and Medusa. Also, yay at not having to grind for top placement in a release event. Following a boss, which notoriously offers less ISO than normal events, with DPvsMPQ, which has two 2-day subs, which notoriously offer less rewards than normal events (they evened it out so it's the same as other 4-day events, but 2-day subs lose a lot because there are far less rewards for clearing nodes themselves). It's disappointing every time, and we keep asking you to fix it, or to stop running DPvsMPQ after bosses, and you ignore us every single time. I don't want to be overtly hateful, because I understand that the devs are people too, but I hope you guys lock your keys in your car every day this week. I hope everything you try to microwave gets really hot on the outside but stays cold on the inside. I hope you drop your cash at the fast food window and have to awkwardly retrieve it. I hope your pets beg to be let outside and then sit there and refuse to move when you open the door. I hope your phone rings and it's a dial tone when you pick up. I hope your next soda is flat. I want you to be perpetually disappointed with stupid little things that don't even have to be problems in the first place, so we can be on the same page, and maybe it'll get fixed. At least He Who Shall Not Be Named looks cool. Maybe he's the start of some Into the Spider-Verse tie-in stuff? We should be due a 5* when the movie comes out, that'd be pretty rad. 5* Miles? 5* Noir or Sp//der or Ham to give us someone new instead of a variant? 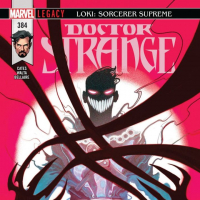 We've got Strange Sights and Places of Power, both would be good foundations for doing a multiverse event to tie into the movie (and it gives options, both a normal event and a raid). Seems like he'd be fun to use with Kraven the Hunter. Shame about the complete overlap. Surely a large part of the point of him is as a Grocket counter? So what you really need in training is Grocket on the opposing team. They'd probably have been better off putting terrible 4*s on the team with him so that the match lasts long enough for his powers to be seen. I try not to be as negative as a lot of folks around here, but I find it really depressing that they took away the increased draw odds (3x) for the newest 4* characters in the Legend stores, but then also keep requiring at least one of the newer characters on every SHIELD training. The Character Details page would retain all the discussion comments from the character reveal announcement post. 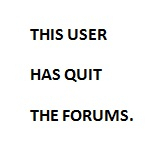 There will no longer be 2 separate posts! I'll simply update this one with more granular details, as I acquire them. Hmm good question. I'll find some time today to hop into a test build and double check that. Your enemy's Strike, Attack, and Protect tiles become Fortified, however if you match any of them, then you steal it for your team. This is why Medusa is such a strong partner, because her Hair Meddle not only steals enemy "SAP" tiles, but can also help create matches to allow for Prowler to steal them too. I couldn't disagree more, I actually really like having that event following boss events. I guess I don't really understand the iso crunch being a problem with saved covers, and unless I'm mistaken, the other rewards are the same. If anything, I find I get more rewards for the effort spent, and get a solid rest out of it. I liked him when I discovered him in S.H.I.E.L.D. Training last week, and my Dazzler is just one cover away from Level 209, meaning I'll be able to nab a cover for him via the S.H.I.E.L.D. Training event. And woo-hoo for an Alliance event this weekend. Yeah, Cardusa will be hilarious. Match fortified enemy tile, get AP, plus a new tile. The Grockitty teams should be slightly less troublesome in his PVP I hope. Prowler looks difficult to find a perfect build for. They're all great with Medusa. Seems like a really good character.